A complete digital signature app for business signatories. Create and send documents for signatures anywhere, anytime, and on any device. Sign approval forms, NDAs, sales contracts, invoices, and more in any document format with no fuss. Collect signatures from multiple signers in the order you want, assign signing to someone else, send out reminders to signers, and do more. Sign documents with confidence. Multi-factor verification, access codes, and audit trails add protection to your documents. 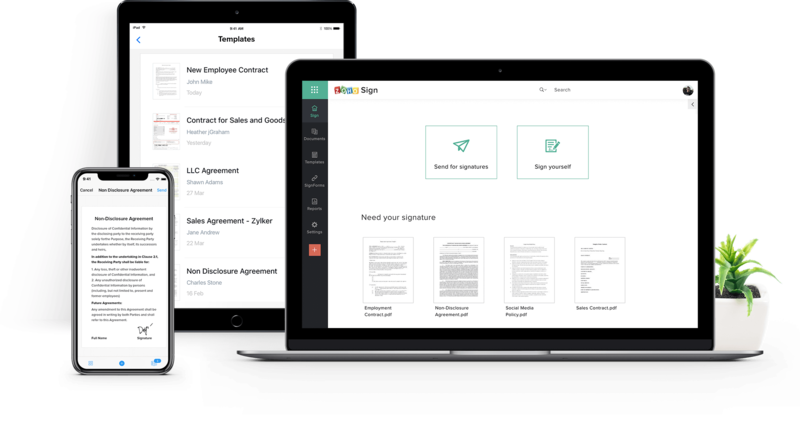 Integrate Zoho Sign with other popular apps such as Zoho CRM, Writer, People, Recruit, Forms, Flow, Deluge, G Suite, and Microsoft Office 365 to sign your business documents. Import documents from your everyday apps - Zoho Docs, Box, Dropbox, Google Drive, and OneDrive to sign and send documents on the go. 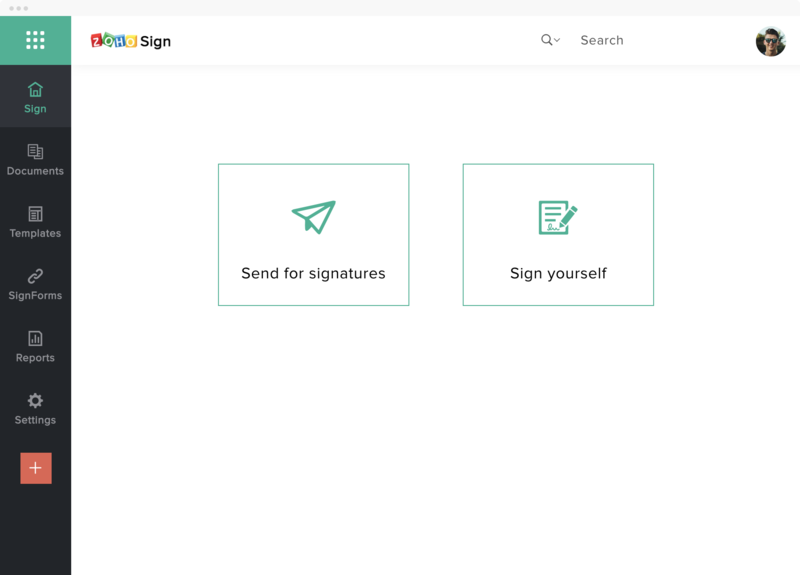 Sign your next document using Zoho Sign.